Three Days in Seattle: Fun Times, Fine Dining. Sleeplessness Not Required. You may not be able to see an entire city in three days, but you can go a long way in experiencing the highlights. We found a recent trip to Seattle cut short by circumstance, but were able to pack in a surprising amount of activity without feeling rushed or overwhelmed. 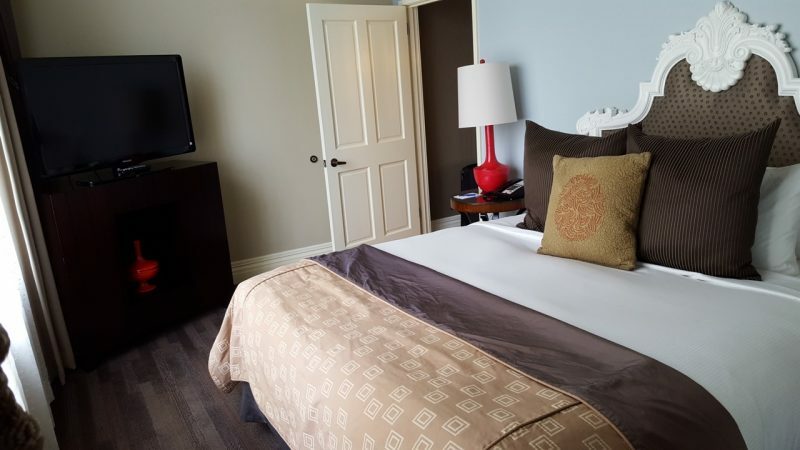 Of course, to get the most of out of a quick stop, it helps to stay in a comfortable, convenient, location from which most things everything are walkable – so let’s start there. 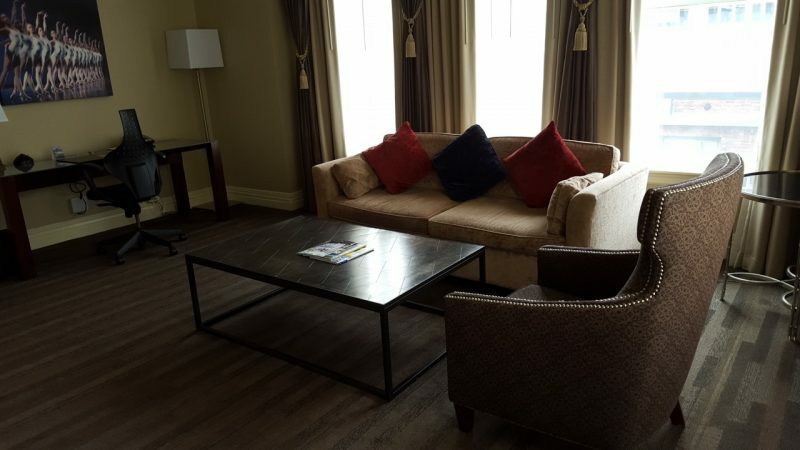 We chose the The Alexis, a Kimpton hotel, based on an excellent experience at another Kimpton hotel in Portland. Service here is friendly and attentive, and the décor and layout have an elegant and welcome ‘un-chained’ feeling. 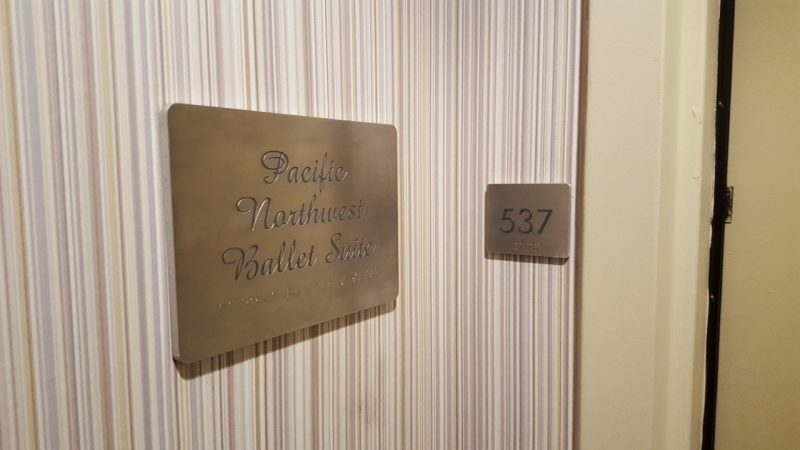 Our room was an executive suite, a generous space with separate king bedroom and a great view of Elliott Bay. Each morning in the lobby, Starbucks coffee (of course) is offered free, hot and fresh – bookended by local wines and hot snacks served daily at 5pm. A gem at this particular location is the Bookstore Bar and Café. A great spot for happy hour drinks, charcuterie, cheese plates, and other assorted bites or of course, a full meal. 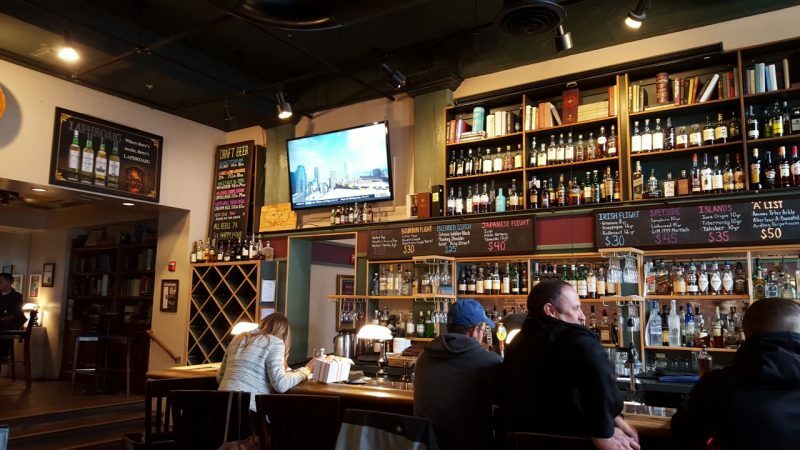 After a walk to acquaint ourselves with the neighbourhood, we enjoyed a lovely happy hour snack including a beautiful draft beer and lovely glass of Helena Chardonnay, and vacation was on. 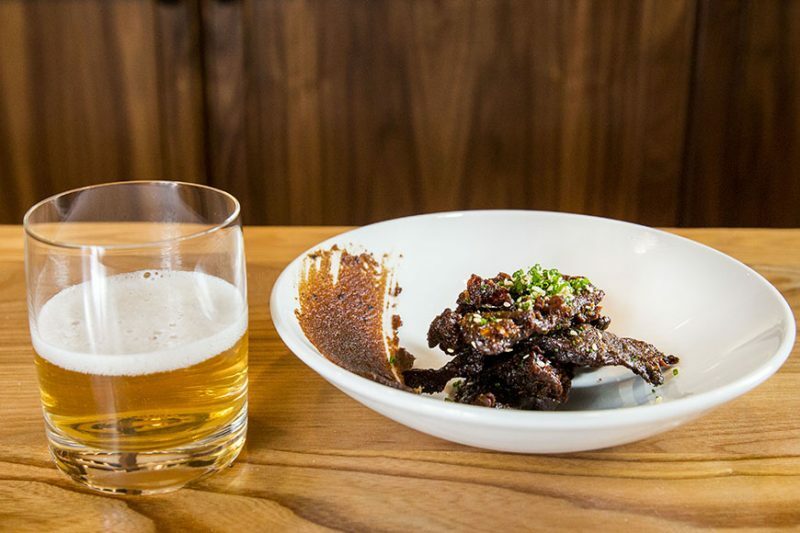 We began with the restaurant’s famous wagyu beef jerky ‘snack’ known as The Original Provision. It was a surprisingly generous serving for a starter, and more flavourful than spicy – very nice. We were then urged to share a couple of starters with the cocktail pairings, then move on to wine and a main course. Sharing starters worked well – we had a beet salad with honey chevre and Asian-inspired chermoula, and then yellowtail (spectacularly fresh!) with avocado, lemon pepper vinaigrette, olives and micro greens. The cocktail pairings were fun, but better advice may have been to each order one of the mini creations (it was strange to share the dish, but have only one cocktail). The beet salad ‘came with’ a concoction of tequila, bitters, vermouth, honey and lime while the yellowtail paired with a refreshing mixture of gin, lemon, celery bitters and sparkling wine. For our main courses, we had the halibut with morels, pickled fiddleheads and asparagus and the duck confit with turnip and a tomato vinaigrette. Overall, we felt that the main courses were good (the duck much more interesting than the halibut), but that were we to do it again, we’d have added another vegetable or raw starter rather than an entrée. The starters were so intriguing and appealingly presented (the Lacinato Kale Salad looked gorgeous!) and the cocktails so unique, this is the way to go…And remember to double up on the cocktails (one each per dish) to max the fun. All in all a relaxing afternoon and evening, with a sense of Seattle just by staying in a great location. And that was Day 1. Despite practically eating our weight in baseball fare, after waddling back to the hotel and resting up a bit, we managed a later dinner at Aqua by El Gaucho. It was the only ‘slightly too far to walk’ destination of our stay, but really a mere 5-10 minute Uber ride away (and a free restaurant shuttle back to our hotel). 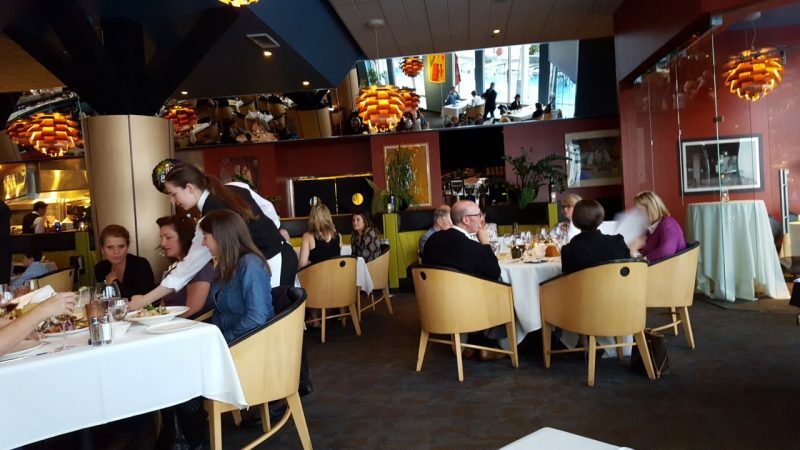 A spacious restaurant right on the water, Aqua’s views would be amazing on a clear day. The overcast, drizzly evening we got was still cozy – no complaints! 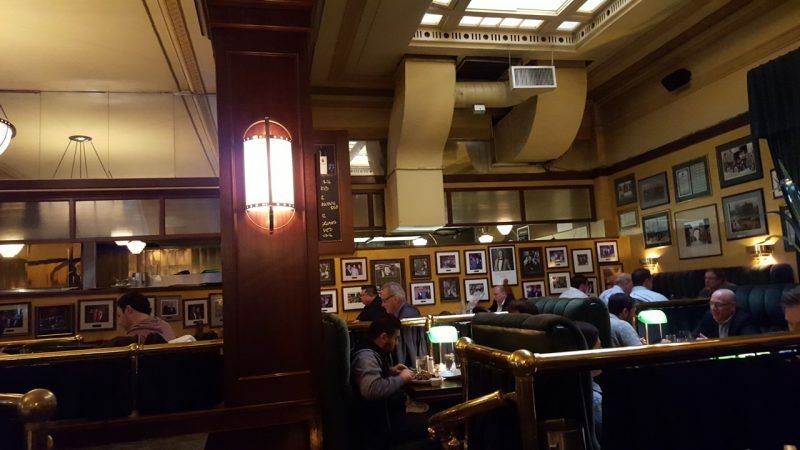 The food and drink here was terrific and the overall feeling was friendly and a bit (wonderfully) old school thanks to the live piano music (which included a playlist of dreamy Doors, Beatles and other 60’s tunes). 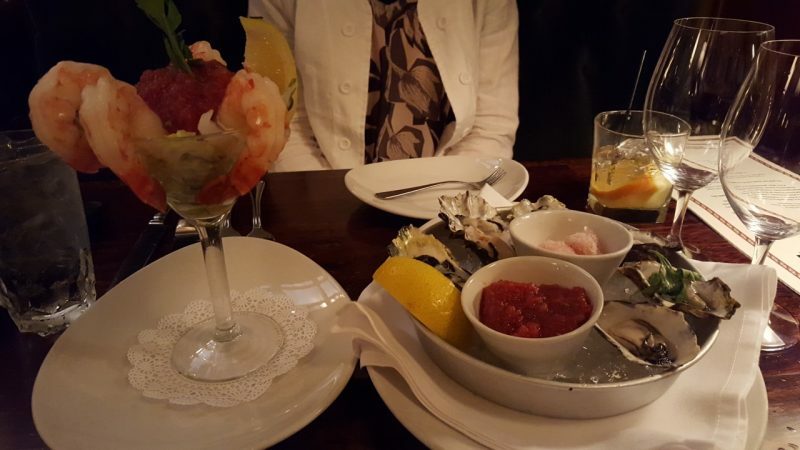 We started with a dozen fresh-shucked oysters, from ultra-briny to incredibly meaty which went very well with an ‘old school’ martini, and refreshing pear-infused beverage (Pear, Vodka and prosecco). Our main courses were from the sea, of course – Stuffed prawns (Dungeness crab, shrimp, and a flavourful pepper sauce), and in-season halibut with a gorgeous citrus sauce and a blood orange, fennel and arugula salad. The ‘turf’ entrees looked great, too but we had headed toward the coast for fish. Paired with a beautiful 2013 Aubert Chardonnay, our Aqua experience was top notch. Shuttle back to the hotel happy as clams, that was Day 2. The following morning was when we learned that we’d have to head home early, so we decided it was time to kick our Seattle trip into high gear. Frankly, we’d seen and done quite a bit so far just by being conveniently located and walking around – but we decided to get serious on that second full day compressing a few leisurely days of sightseeing into one afternoon. We still took it slow in the morning, but headed for Pike Place Market in the late morning hours. Yes, we saw the ‘fish guys’ and their fresh caught offerings – amazing. We strolled among the myriad shops and eating spots in this friendly, fairly touristy area (although it had a much more ‘local’ feeling than the wharf in San Francisco). Our main destination at the market was Pike Place Chowder for lunch, to sample the New England chowder that’s nabbed major awards away from East Coast competitors. Even though we arrived on the early side of lunch there was a line up, but it was very well managed, moved quickly, and there was ample seating. The chowder didn’t disappoint – it was creamy, hearty, very meaty and piping hot. What is it about oyster crackers that just works? A medium bowl paired with a sourdough roll made a perfectly satisfying lunch. 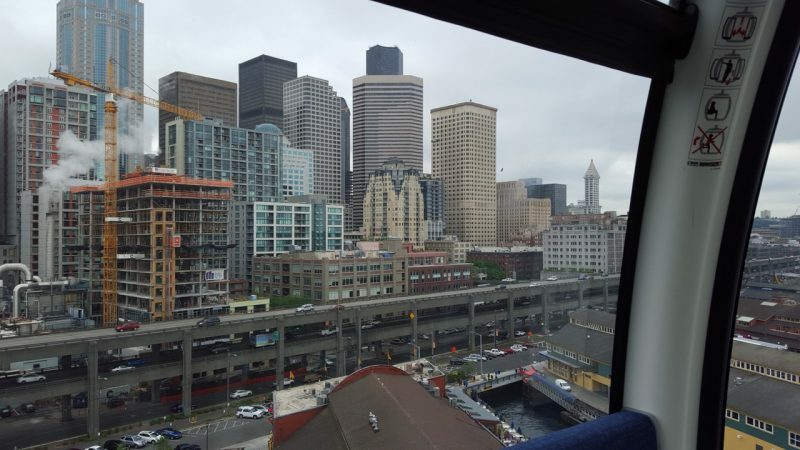 All right – off to the Seattle Aquarium! …The Great Wheel. I don’t know how the locals feel about it. But we thought The Great Wheel was pretty cool. Built in 2012, this is a massive, 175 foot high Ferris Wheel with enclosed compartments. It offered some neat views of the skyline (including our only glimpse of the Space Needle). 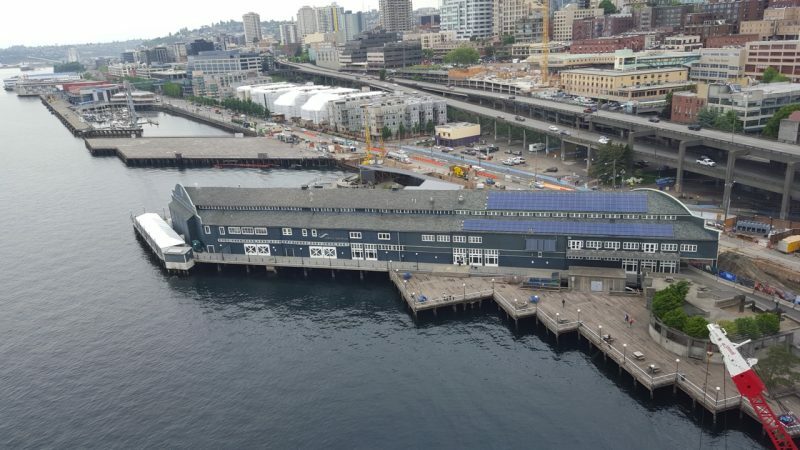 And ascending and descending over the water was a prettyy wild feeling– it felt almost like we were going to plunge into Elliott Bay (hint – possible underwater attraction tie-in to the nearby Aquarium? Maybe not…). They promise three revolutions and we got 4, so – score. A few (steep) blocks from the Alexis is the Metropolitan Grill. It is a wood-paneled, old world, old fashioned club paradise with photos featuring celeb guests greeting you at the door (here’s looking at you, Don Rickles). Can you tell we had a great time? 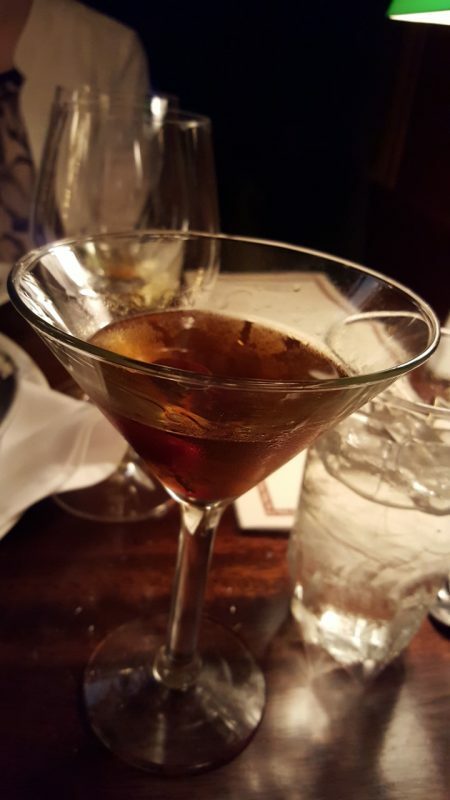 We started by selecting a few drinks from the Manhattan section of the cocktail list. First up was the ‘Met Manhattan’, with the unusual addition of absinthe. We also tried the 820 Manhattan, featuring an interesting splash of apricot brandy, and a sweet but refreshing mango margherita. Then came the oysters – an incredible selection of raw oysters on the half shell – fresh, meaty, delectable with an ingenious, refreshing frozen champagne mignonette ( I could have eaten this with a spoon – so yum). The oysters at Aqua were really good, but these were out of this world. We also enjoyed the Metropolitan Prawn Martini – huge prawns with just the right bite served with a bright, zesty cocktail sauce – all presented in a martini glass, of course. We were now primed for the main steak event. We were eager to try the Japanese Hokkaido Snow Beef, so called due to the delicate texture apparently comparable to a snowflake. With only two heads harvested every month according to the menu description, this sounded incredible. Unfortunately – they were out! However, we ‘settled’ for filet of Ohmi Wagyu beef which did in fact melt in the mouth, and the prime, dry aged boneless ribeye. Grilled over charcoal, the flavor was uber-beefy, and out of this world. We paired the meal with massive baked potatoes topped with a rich cheese sauce and sour cream, cedar plank grilled mushrooms, and grilled asparagus. 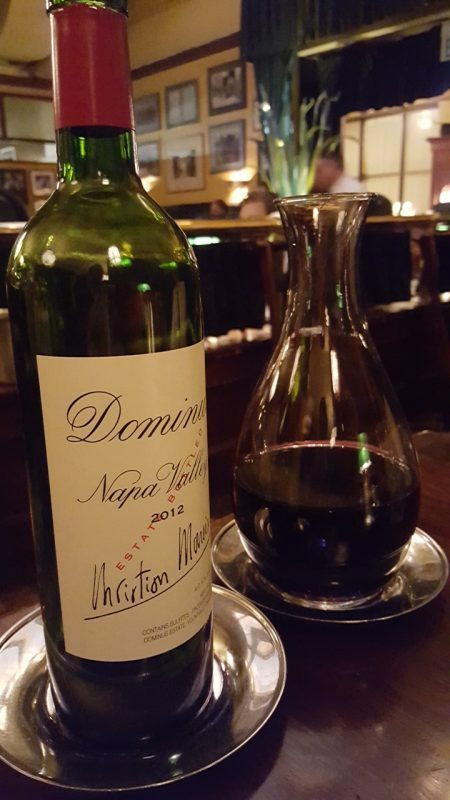 To accompany this feast, we had a superb wine bursting with deep, rich flavor – the absolutely perfect Dominus 2012. For the finale or the encore or whatever you’d like to call it, we shared a (huge) dessert of bananas foster prepared tableside, and 100 Years of Tawny port – a flight of 10, 20, 30, and 40 year tawny ports. The pours were extremely generous for a tasting experience, but somehow we managed. 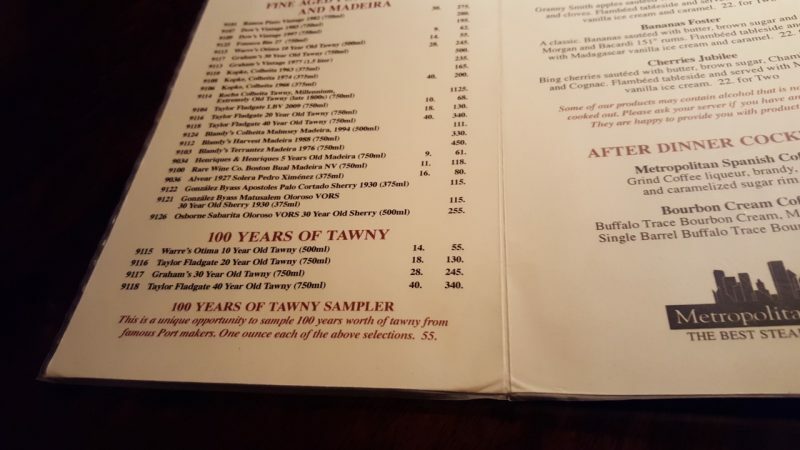 There was something particularly satisfying about the 20 year. A unique and fun end to a great evening! With a flight in mid-afternoon, we took advantage of having the morning to stroll a bit more. It happened to be the only sunny day of the trip, which was a nice way to remember the city. We stopped off for another round of lattes at Storyville Coffee, where they expertly roast their own beans, and a couple of bags of their “Prologue” beans as a tasty souvenir. We made our way to the Pacific Place mall more for the stroll than anything, checking out some of the shopping along the way. Then it was back to the Alexis for a delectable late brunch/early lunch including bacon and eggs, and a smoked salmon salad with crispy potatoes and anchovy caper dressing (really, really good!). 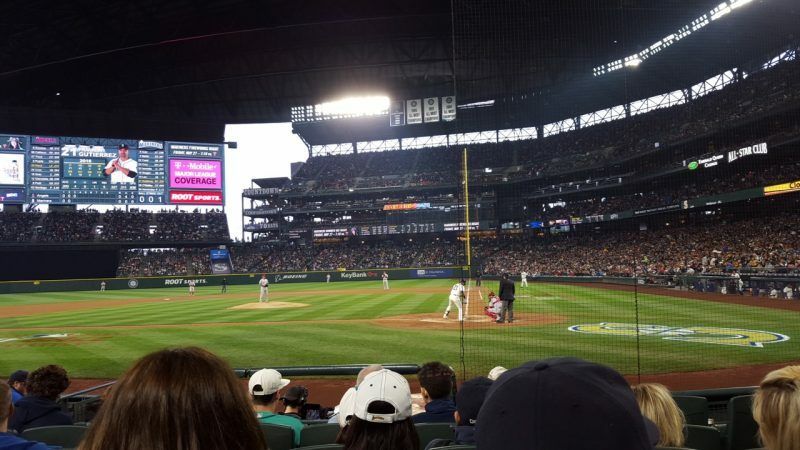 Sigh – that was it for Seattle, but looking back at our time, we saw and did quite a bit, eating our way through most of it, and having a great time. We’d go back for more oysters, more cocktail pairings, to try that ‘snow beef’, and another stay at the Alexis, anytime!